If you were sued for $1,000,000 as a result of an accident, would your present insurance pay for all the damages? You can not always prevent accidents. But you can take steps to protect your family’s security with a Personal Umbrella policy. A Personal Umbrella Policy offers you $1,000,000 worldwide coverage over and above the amount of your present liability insurance (higher limits are available). The Personal Umbrella Policy picks up where your auto and homeowners insurance policies leave off. 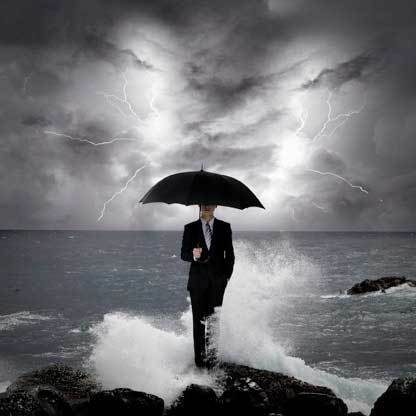 In addition, a Personal Umbrella Policy provides coverage for any legal expense if you are sued for a covered accident. The cost of a Personal Umbrella Policy is small usually less than 50 cents a day, contact us for more information. © 2019 Indiana State Bar Association Insurance Agency. All rights reserved. MyBarIns.com is provided by the ISBA Insurance Agency as a resource for ISBA members.